We at BEC, envision a safety culture to achieve an injury free workplace, to facilitate and empower employees to make continuous improvement aiming to establish us as the industry leader in Healthy, Safety and Environment. This will create value to our employees, clients and society at large and enhance overall business process. The company has a well-established HSE policy, emphasizing “HSE is everyone’s responsibility and part of the corporate philosophy. The Senior Management provides strong, visible HSE leadership & commitment and ensures that this commitment is translated into the necessary recourses to develop, operate and maintain the company’s HSE MS, HSE Plan and procedures to attain HSE policy objectives. 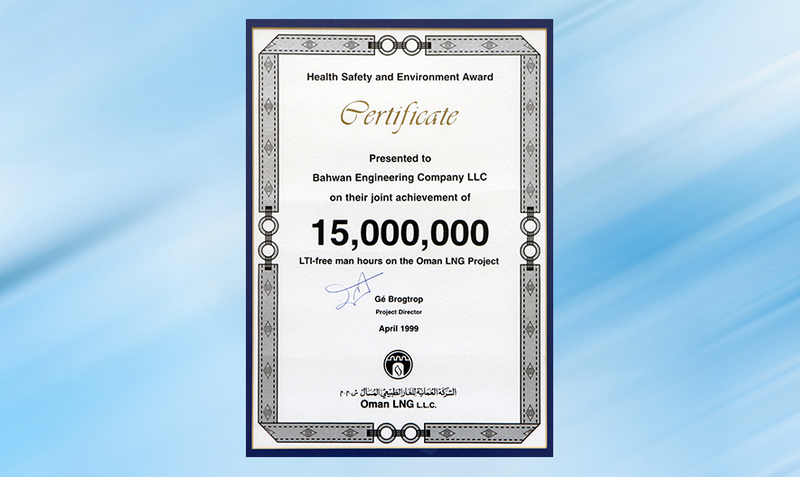 BEC Group’s HSE management system is accredited with OHSAS 18001 & ISO 14001 certificates and is based on the Total Quality management (TQM) principle emphasizing on continuous improvement and integrating HSE aspects in every business endeavour with a proactive approach. The corporate HSE department employs more than 150 qualified, trained & experienced expatriate and national (Omani) HSE staff, responsible to ensure compliance monitoring and review all aspects of HSE covering entire organizational activities. 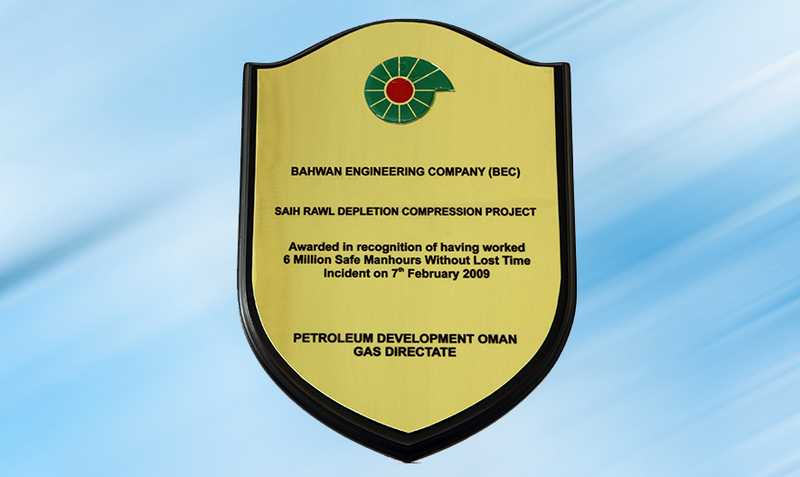 In addition,BECGroup has established a dedicated Road Safety division at corporate level to monitor & review companywide driving activities.With this proactive approach, we have successfully completed most of the projects with ZERO LTI and strive to achieve incident and injury free workplace exacting to international standards. 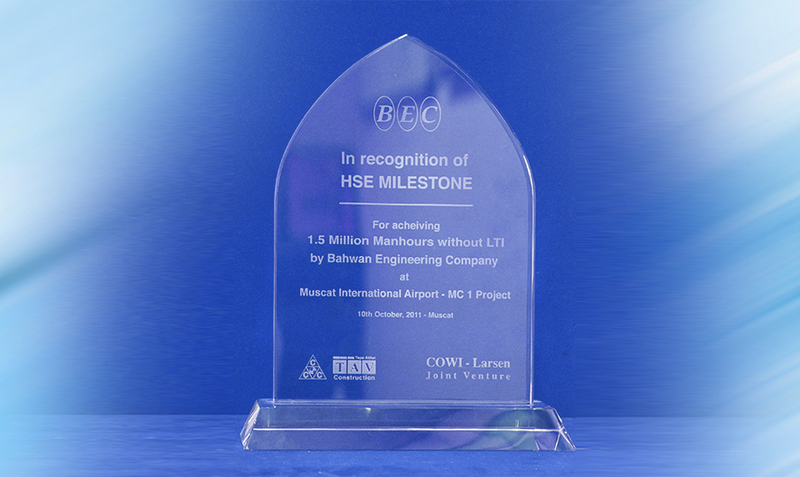 5 Million LTI free man-hours at Ruwais Refinery Expansion project Sohar Fertiliser etc. 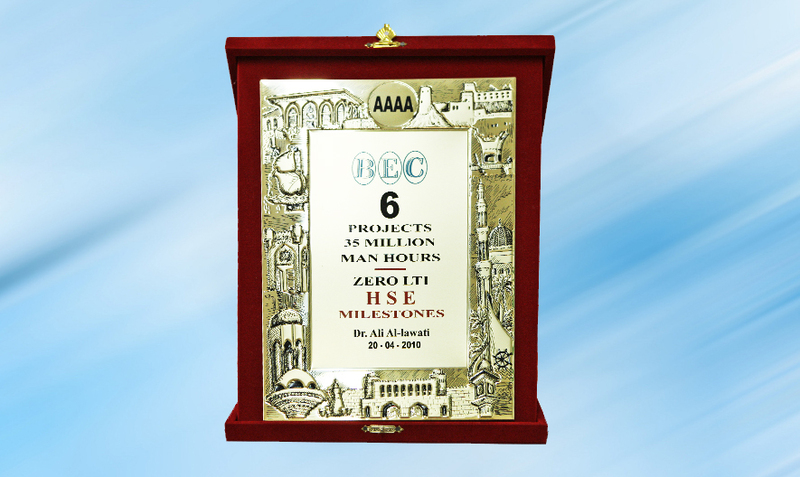 5 Million LTI free man-hours at Al Masarra Hospital project, Amerat.